Available in Singapore. Orders Yours Today! Energy efficient colour LED that flashes brightly for your visual attention. Choose your own favourite colours. Built-in vibration feedback. 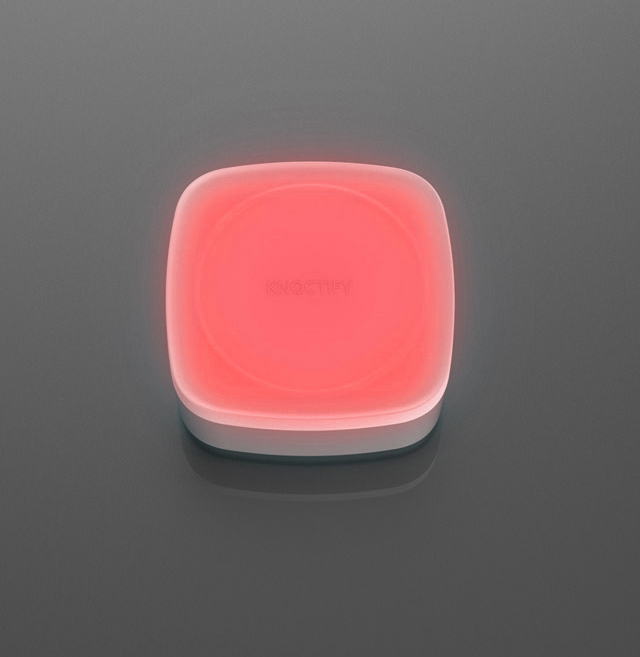 Put it under your pillow and be alerted even when you are asleep. Rain or shine, we got you covered. Use it in the kitchen, showers, outdoors or anywhere you like. Never miss someone at the door again. 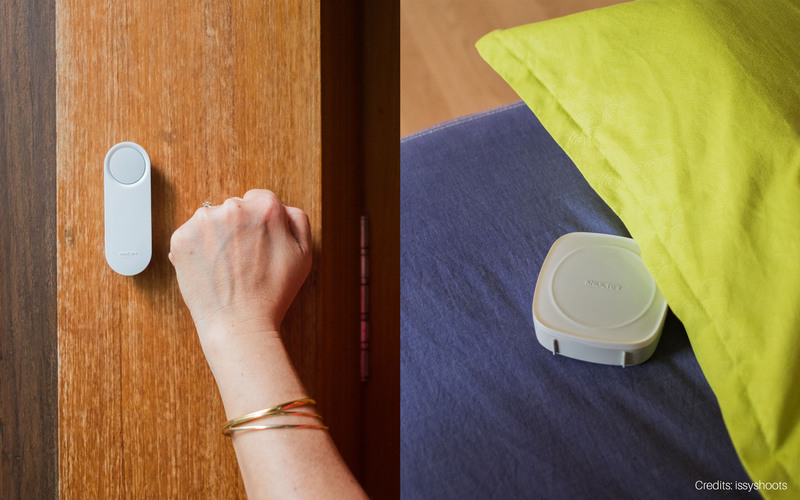 Knoctify sensor come with smart knock detection so you don’t have to worry if someone knocks on your door instead of pressing the doorbell button. Fits in the palm of your hand. Knoctify runs on batteries, and its so light that you want to bring it everywhere you go. Set Knoctify to vibration mode and place it under your pillow. There are three different vibration power settings to choose from, to cater for light or heavy sleepers. Its small and portable, bring it along for your next holiday or work travel. Use it in the hotel room and have a greater sense of privacy.